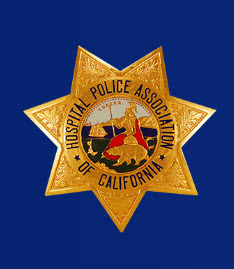 NORWALK - The California Statewide Law Enforcement Association (CSLEA) and its affiliate, Hospital Police Association of California (HPAC) welcomes Metropolitan State Hospital (MSH) police officer Michele Salant to union membership. 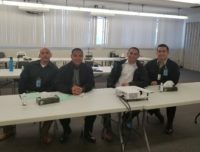 Salant, a former Los Angeles Police Department officer, is new to California state service and MSH. 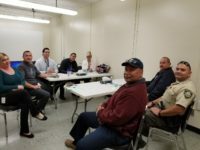 CSLEA Membership Services Representative Shelley Bishop met with Salant and a second MSH police officer on January 31, 2018. In addition to meeting with new member Salant, Bishop met with member D. Niles, who previously worked as a sergeant at Exposition Park in Los Angeles and is now a hospital police officer at MSH.